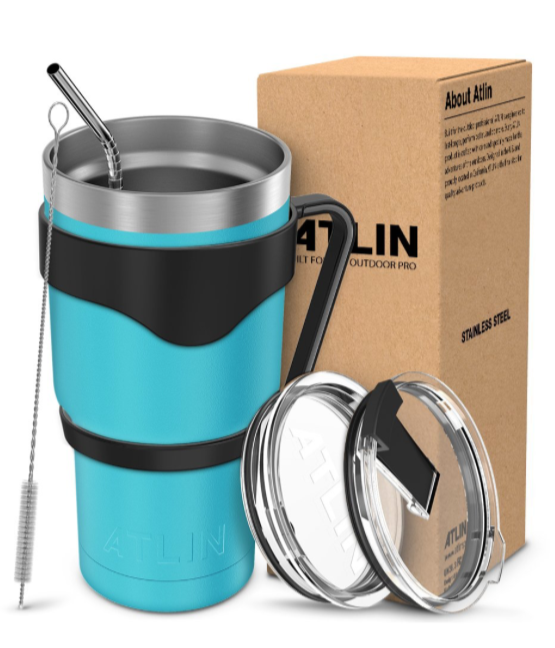 If you’re looking for a quality tumbler, Amazon is offering up the very highly rated Atlin 30 oz. stainless steel, double wall insulated travel mug for just $18.74! This mug set comes with a lid, stainless steel straw, straw cleaner and handle. This mug has awesome reviews and this is a great price as it normally sells for $30. You can choose from 5 different colors of this mug.